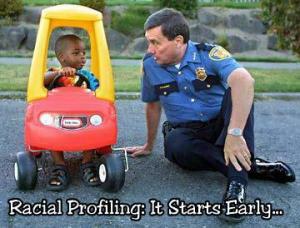 WASHINGTON (AP) – Contrary to many of his critics, President Obama is no stranger in the fight against racial profiling. He led the fight to get legislation passed when he served as an Illinois state senator. In 1999, a fresh-faced senator from the South Side of Chicago heard constituents complain that police were free to pull over drivers because they were black. So Barack Obama proposed a bill to tackle racial profiling. When it failed, he revised it and proposed it again and again. Obama has spoken only rarely about his own experience with incidents he perceived to be race-related. In his 2006 book "The Audacity of Hope," he described his struggles with the injustices of "driving while black" and the vigilance he felt was still necessary for him and his family. "I can recite the usual litany of petty slights that during my 45 years have been directed my way: security guards tailing me as I shop in department stores, white couples who toss me their car keys as I stand outside a restaurant waiting for the valet, police cars pulling me over for no apparent reason," Obama wrote. The president, in a reflective statement on last Friday about the history of racial profiling in this country and the injustice that has resulted because of it, looked to the future, urging Americans to ask themselves how such tragedies as the Trayvon Martin-George Zimmerman tragedy can be prevented. One can argue that President Obama has focused more on gun control than issues like racial profiling. But as a young state senator, he and a few colleagues led a fight to require police to keep track of the demographics of drivers they pulled over – race, gender and age – then have those records analyzed to root out any patterns of bias. 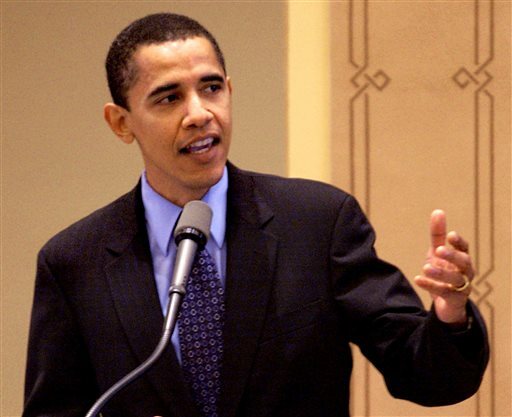 Diversity training was also part of the package, and another bill Obama pushed sought to prevent wrongful convictions by requiring police to videotape interrogations for crimes like homicide. Emil Jones Jr., the state Senate's president at the time, said he told Obama he was counting on him to shepherd the profiling bill, part of a broader judicial overhaul involving death penalty reform that Jones said was his top priority. "It called on him to work with legislators on both sides of the aisle," Jones said in an interview. 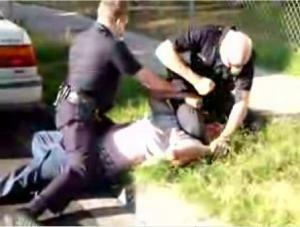 "There was strong opposition from law enforcement on these issues. He was skillful enough to be able to get them on board." One of Obama's key arguments to woo skeptical police groups was to say his legislation could actually exonerate fair-minded officers. Those unjustly accused of racial profiling would, for the first time, have evidence to show that wasn't the case. Both the racial profiling and videotaped interrogations bills eventually passed through the Legislature in 2003. When it first became law, the data showed blacks and other minorities were being pulled over about three times as often as whites, said Craig Futterman, who sits on the statewide panel that oversees the law. These days, it's down to about twice as often, he said. "The fact that this data was being collected and monitored actually dramatically reduced racial profiling in Illinois," said Futterman, a professor at the University of Chicago Law School, where Obama once taught. "It didn't eliminate it - there are still unacceptable racial inequalities." But across the U.S., as rallies crop up filled with protesters demanding justice for the teenager whose quest to buy Skittles ended in death, it's not clear what steps the administration may take in the coming months. "I don't have any process to announce today going forward," said Jay Carney, Obama's spokesman. He noted Obama's work on the issue in Illinois and said Obama "believes it's an issue worthy of consideration and action." Reach Josh Lederman on Twitter.